By BILL HUTCHINSON and JAMES HILL for ABC News. Florida school shooting suspect Nikolas Cruz may have been left a large inheritance by his late parents, meaning he could potentially afford to hire private counsel and may not be allowed to use a court-appointed defender. Howard Finkelstein, the public defender of Broward County, Florida, filed a motion on Tuesday asking a judge to conduct an “indigency determination” on the 19-year-old suspect after reports surfaced that he could stand to inherit $800,000 from his parents. 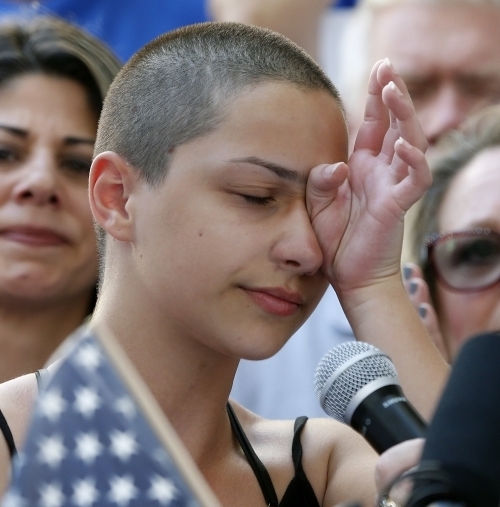 Finkelstein said his office was assigned by the court to defend Cruz after he filled out an application for criminal indigent status the day after he was arrested in the Feb. 14 massacre at Marjory Stoneman Douglas High School in Parkland, Florida, that left 17 dead. Cruz’s 68-year-old adoptive mother, Lynda Cruz, died unexpectedly on Nov. 1 after contracting pneumonia, according to documents filed in the Broward County Probate Court and obtained by ABC News. His adoptive father, Roger Cruz, died in August 2004 at the age of 67, according to court records. Each died without leaving a will. The estate in question was that of Nikolas Cruz’s father and Lynda Cruz was seeking to transfer the family’s home into her name to sell it, according to court documents obtained by ABC News. “[Lynda Cruz] is actively pursuing loss mitigation in regards to the … property, and has a contract in place to short sell the property,” the petition states. Property records show she sold the home a month later for $575,000. Following his mother’s death last November, Nikolas Cruz and his younger brother, then 17, went to live with a family friend, identified in court records as Rocxanne Deschamps. 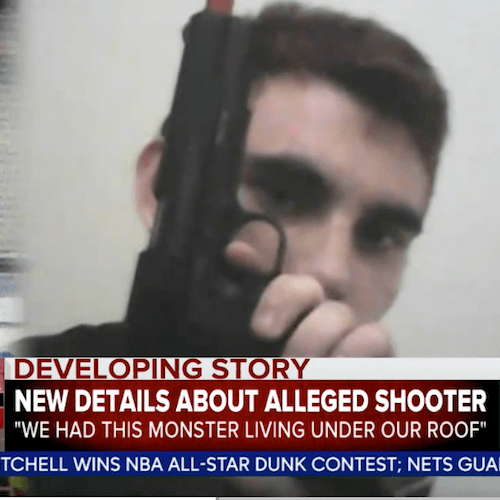 Nikolas Cruz briefly lived with Deschamps, but moved out around Thanksgiving and went to live with James and Kimberly Snead, the parents of a friend. The Sneads claimed that Nikolas Cruz told them he stood to inherit in a few years at least $800,000 from his deceased parents’ estates, the couple’s attorney, Jim Lewis, told ABC News. POST WHERE NEEDED Teens kill more people per day then guns do with their usage of cell phones while driving and under aged drinking and drug usage, They are the reason our insurance premiums are so high. Teens can get pregnant and deliver that innocent baby and throw that innocent baby in a drop box like you would do a book or dvd. Teens are the reason we have high medical bills from the innocent people they kill or cripple by their actions, •11 teens die every day as a result of texting while driving. •According to a AAA poll, 94% of teen drivers acknowledge the dangers of texting and driving, but 35% admitted to doing it anyway. •21% of teen drivers involved in fatal accidents were distracted by their cell phones. •Teen drivers are 4x more likely than adults to get into car crashes or near-crashes when talking or texting on a cell phone. •A teen driver with only one additional passenger doubles the risk of getting into a fatal car accident. With two or more passengers, they are 5x as likely.